Bengaluru (Karnataka), Aug 10(ANI): Karnataka Chief Minister H.D. 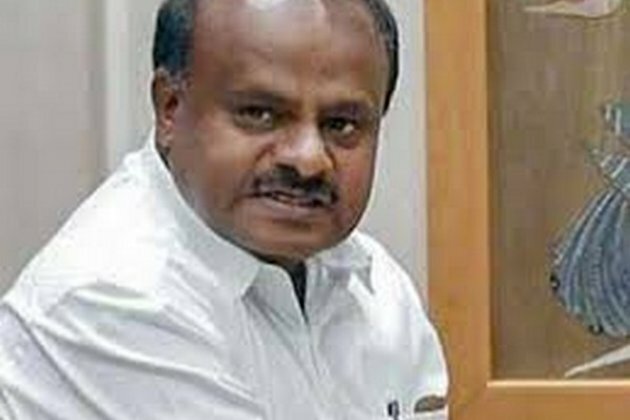 Kumaraswamy on Thursday announced a relief fund worth Rs. 10 crores to the flood-hit Kerala. The Chief Minister has also directed his Chief Secretary T.M. Vijayabhaskar to send relief materials and a team of doctors to the state. Kerala has been witnessing incessant rain since past two days, causing flooding and landslide. Till now, at least 22 people have lost their lives in the state in rain-related incidents. "Expressing shock over death of 22 persons due to flood in Kerala, Chief Minister H. D. Kumaraswamy said that Government of Karnataka would extend every possible support for flood relief in Kerala," read an official statement. On request of Kerala Government, Karnataka agreed to release 75000 cusecs water from Kabini reservoir in Mysuru districts as the backwaters are adding to the woes of flood-hit state. Kumaraswamy also called Kerala Chief Minister Pinarayi Vijayan and discussed about the flood situation in the state.